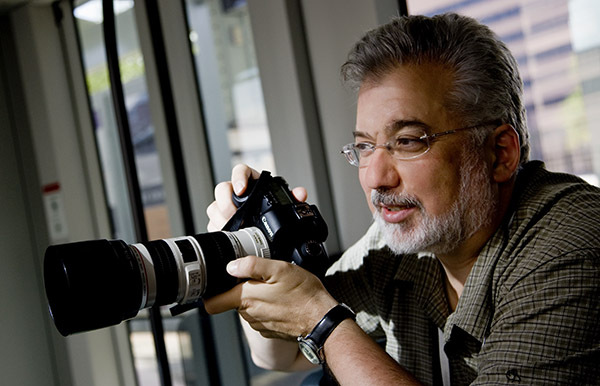 Jack Reznicki is an internationally renowned commercial people and children photographer based in New York City. Jack’s creative problem solving has helped promote products and services for many companies such as Toys “R” Us, Tylenol, The Wall Street Journal, Hyatt, Kodak, Reader’s Digest, Crest, AT&T, Playtex, and several Time Magazine covers. Jack is the author of several books on commercial photography including “Studio and Commercial Photography- A Kodak Pro Workshop” book. Currently Jack writes a column with Ed Greenberg for Photoshop User Magazine titled “The Copyright Zone”. For many years, Jack’s insights to professional photography could be found in Petersen’s Photographic magazine with his popular “Pro Vision” column. His writings have also appeared in many other photography magazines. In the past Jack has served as President of Professional Photographers of America (PPA), President of the New York chapter of Advertising Photographers of America (APA), sat on the JEC (Joint Ethics Committee) in New York, and served as Board Member of ASMP/NY (American Society of Media Photographers). Along with many other awards, Jack was very proud to twice receive the IPC (International Photographic Council) Leadership medal for “Excellence in Studio Photography” at the United Nations. Jack was appointed a guest professor at Shandong University of Art and Design in Jinan, China and named a Mo-Tse Grand Master Photographer in China. He is also honored to be named an Honorary Fellow of the New Zealand Institute of Professional Photography. He is one of the original “Canon Explorers of Light”, an “Epson Stylus Pro”, and a Sandisk “Photo Master”. Jack has also does testing and consulting with Canon, Epson, Adobe, Mamiya, Microsoft, X-Rite, Leaf digital backs, and onOne Software.